I glance over at the clock, but my vision is so blurred that I can barely read the time because I’m so drunk. In less than an hour, I have consumed an entire bottle of wine and I am now working on my second beer. That familiar feeling, that numbness, is one that I welcome every night. I can forget about all the pain, all the hurt, all the worries for a while. When I sober up, I’ll wish I wasn’t such a slave to alcohol. I’ve tried to quit so many times and I cannot. Alcohol has me trapped in a timeless prison. I finally drag myself to bed, unsteady and still feeling a bit sick. I don’t usually throw up, but I overdid it tonight. I hope my wife didn’t hear me as I vomited in the toilet. I am breathing so hard as I lie in bed, I feel like my heart might stop. Oh well, maybe I won’t ever wake up…and maybe that’s not a bad thing. The paragraph you just read is a glimpse into my life. Four years ago, I was drowning my demons in an ocean of alcohol. I had been an alcoholic for over ten years, and a police officer for twelve. Alcohol, anger, depression, darkness, and brokenness were destroying me and, worse, my family. I felt there was no way out, and I had nowhere to turn. One dark afternoon, the battle for my soul was raging as I seriously considered killing myself for the first time. And at that moment, I was fortunate enough to recognize the existence of one of the darkest, evil spirits in the room with me. I shudder to think of that presence, even now. The ominous, silent, cold presence of eternal death lay in the shadows. I cried out. God, help me. I cannot do it anymore. As police officers, it is in our very nature to be the one to fix any problem that comes our way. We can take any situation, handle it, and be home in time for supper—well, most of the time. We often don’t think twice about the suicide scene with the pooled, sticky blood as thick as paint mixed with molasses, still dripping from the cavernous hole in the victim’s head. As a coping mechanism in the moment, we may even have a nervous laugh about that piece of brain matter we almost stepped on—that was a close one! When we get home, when all the action is over, and the next shift has taken over the street, we collapse at the end of the day like a sack of potatoes in zero gravity. As we grasp the transition back into “normal human” mode, we can’t help but re-process all of those graphic images. We wonder whatever will become of the suicide victim’s wife and children, and will they ever recover from this? Why can’t we just shut it out? Why can’t we just move on with more important things, like what’s new and trending on Netflix? As much as you try, you can’t ignore how much you hurt inside. If you continue to try to fix yourself like you do every other problem, you will fail. And when you do, it’s going to be ugly. You may not wind up dead, but I guarantee stuff won’t be pretty. Failed marriages, children’s behavioral problems, substance abuse, and general dysfunction soon follow. Heroes don’t deserve to live like that. So what’s the answer? How do you treat this sickness inside? How do you survive? Turning to the world only will only lead to self-destruction and dysfunction. The only place we can turn is to He who made us; who knows our hearts, our sorrow and struggle. By asking Jesus Christ to come into our hearts we begin a genuine, meaningful relationship with the very One who created us. It’s almost like taking the defective heart back to the manufacturer for refurbishing…only this time it comes with an eternal guarantee (see John 3:16)! He has a perfect plan for your life. Trust and lean on Him to be with you and bring you through. If you have a strong faith in God and a relationship with Him, He will free you of all of your demons. 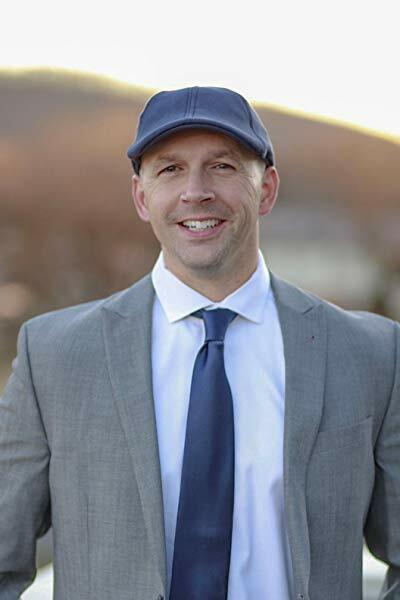 He freed me from the clutches of over ten years of severe alcoholism overnight—through a simple prayer. He freed me from anger, lust, depression, darkness, and worthlessness. What can He do for you? Trust Him, allow Him to lead you, and He will bless you without limit. Drop your heavy burdens and let God take them from you, one by one. As a police officer walking with Jesus Christ, you will now be protected by the FULL ARMOR of GOD, and not only will you survive challenges of this job—you will thrive. Call on Jesus today, embrace His grace before the ultimate battle is won by the darkness. 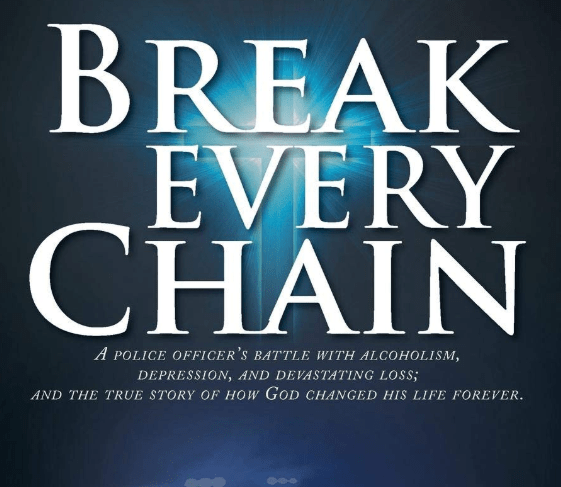 Read more about how I was saved from the darkness in my book, Break Every Chain: A Police Officer’s Battle with Alcoholism, Depression, and Devastating Loss; and the True Story of how God Changed His Life Forever. Available at Amazon and Barnes & Noble!